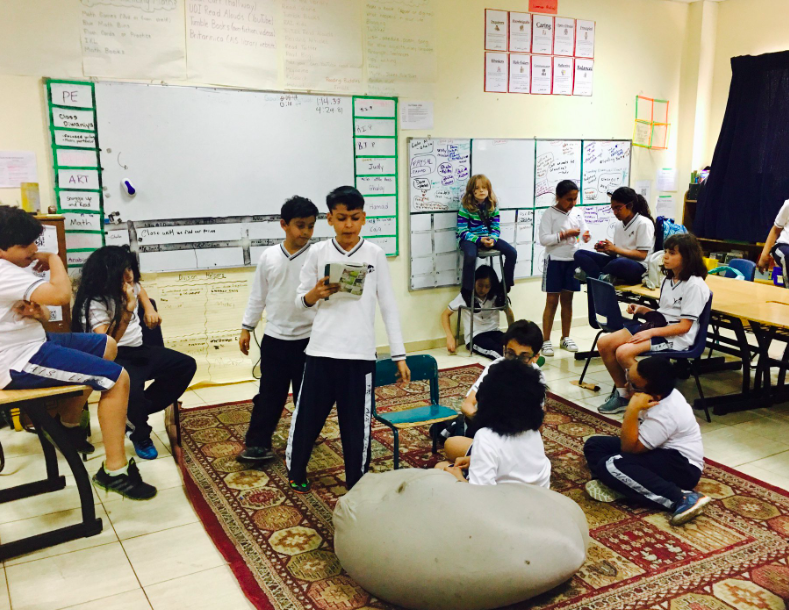 Last year, when I decided to leave my role as PYP Coordinator to go back into the classroom, one of the biggest reasons was to have the opportunity to take risks, innovate and disrupt the model of “doing school” at the classroom level. I had big dreams of what I wanted to start, stop and continue and I had a vision for a more fair and free place to learn. Now that the year has come to an end, it’s important for me to reflect on how things went. And since I have been sharing my journey with you along the way, I wanted to share my final reflections with you too. Inviting students to help set up their learning space was one of the best things I did all year! Not only was there SO much thinking and reflecting and problem solving that took place, but there were a lot of curricular connections, made authentically. Above and beyond that, it set the tone that students have a voice and are equally contributing members of our classroom community. Flexible seating was also a huge success. It took us a while as a community to test it out, problem solve and find the line between comfort and safety… but once we found our groove it was smooth sailing. 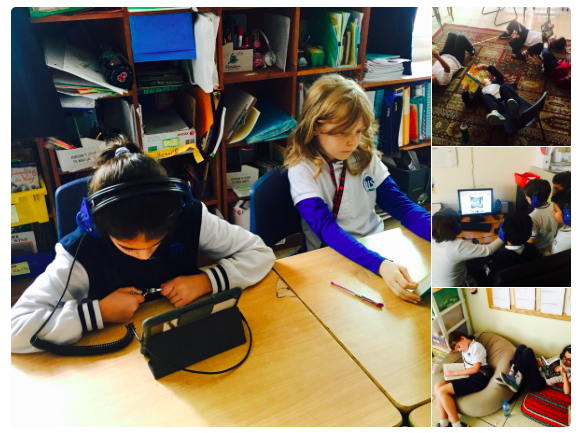 Students were relaxed and comfortable during their time at school and often reflected on how that positively impacted their learning. After reading the blog, post 10 Ways to Get Your Students to Respect You, I couldn’t believe all the years I spent as a teacher, controlling, limiting and even not allowing students to tend to their physical needs. This year students ate when they were hungry, drank when they were thirsty and went to the bathroom when they needed to go. If felt much more humane and again had a noticeably-positive impact on their learning. A huge part of my MEd degree was becoming more aware and critical of the power structures that exist in schools. 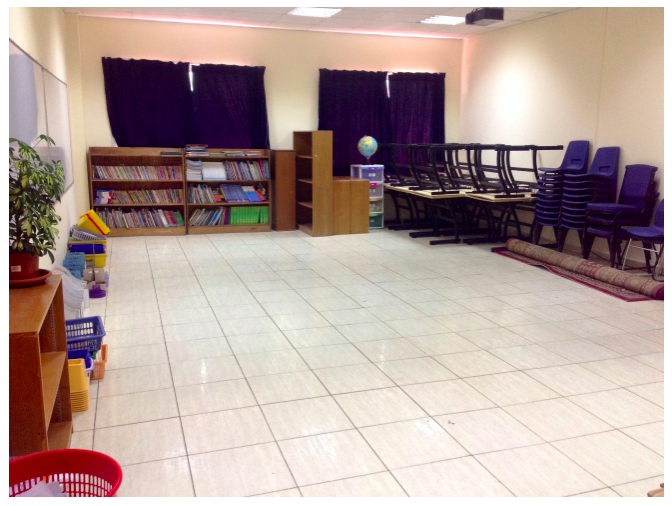 This year I actively worked to create a more democratic classroom. We made ever decision together – where possible – regardless of how big or small. This not only set the tone that each and every student has a voice and a right to be part of decisions that effect their lives, but it also opened the door for some amazing learning about democracy, decision making, fairness, equity and equality, authority and hierarchy. For the first time in my life I did not make the decision that my students would have homework. 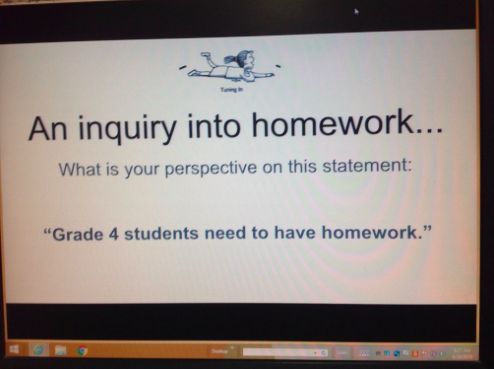 Nor did I make the decision that my students would not have homework either. Instead I decided… to let my students and their families decide! 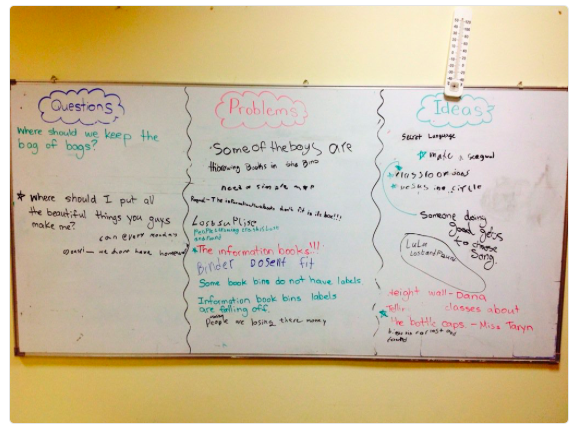 I guided them through an inquiry into homework and then students made their own conclusion about if they should have homework, and if so, what, when and how much. This approach worked very well – families that didn’t want homework never complained they had too much and families that did want homework never complained they didn’t have enough. It also had an unexpected positive side-effect: throughout the year when students genuinely reflected and felt like they needed more help or practice with something they would self-identify the need and take initiative to request extra help and resources. This was the risk I was most excited about and the risk that ended up being the hardest to execute. We started out the year strong. 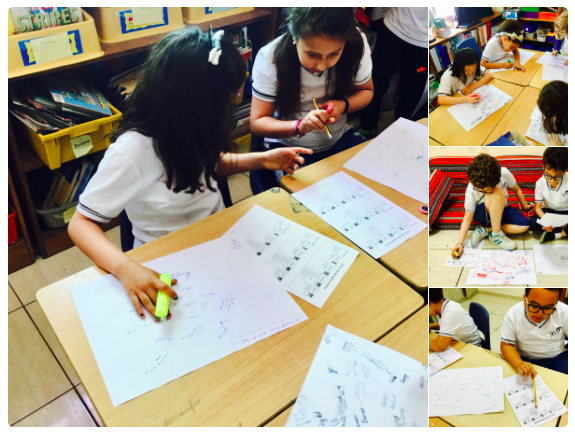 We spent weeks inquiring into learning, inquiring into the PYP, inquiring into making day plans and then students were off and running planning their own day. It started out really amazing… students were excited and energized to have autonomy not only over how and where they learned… but for the first time in their life when they learned. Then I got in my own way of such an amazing and successful risk. I started to feel the pressure of time, and standards, and consistency… and slowly more and more of their blocks were being planned by me, because “we had to get something done” One day I woke up, looked around and realized that I was back to my old ways – planning one standard school day and obliging my students to follow along. 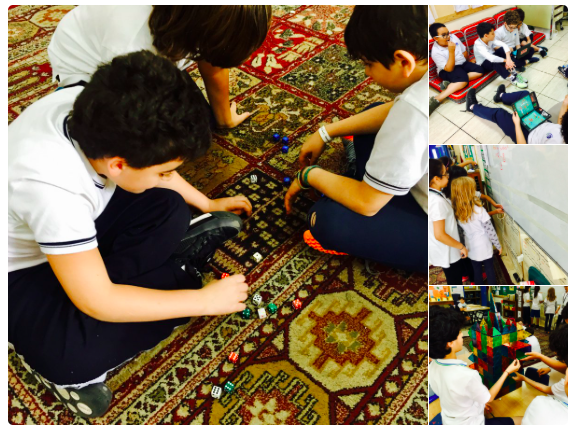 Towards the end of the year – when reports were done and the pressure was lessened – we went back to having students plan their own day. And once again, life was good. It was important for me this year that I included my students’ parents in our learning community. Firstly, in the sense of having them involved in their child’s education and what happens in the classroom. I invited them in for before-the-year-starts meetings, I asked them for feedback three times throughout the year and I attempted to differentiate my communication in order to reach as many families as possible. But more than that, I wanted them be involved in our vision… our risks… our movement. 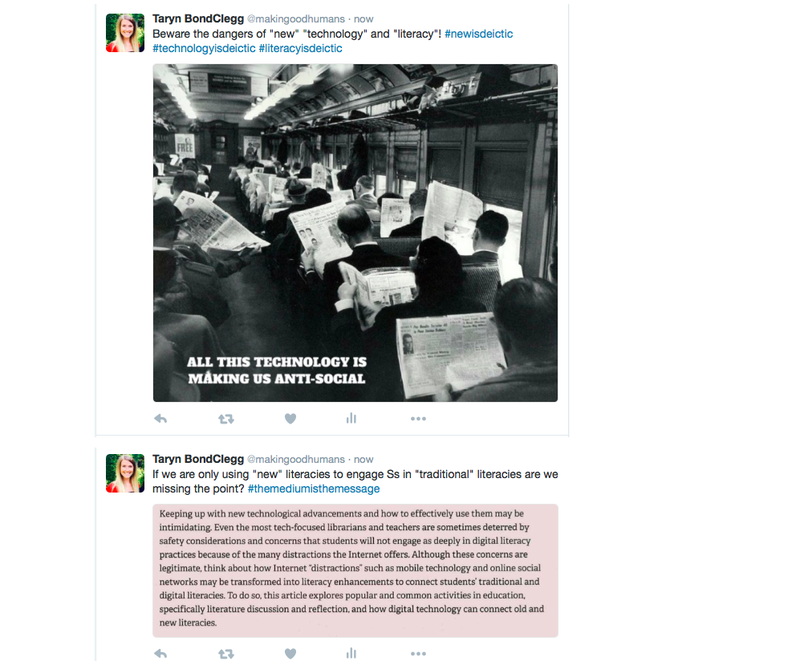 I would share screenshots of provocative tweets, infographics and links to PYP and education related blogs to challenge and provoke their thinking about what school look like in 2017. As the year went on it was great to see them engage more and more with the ideas being shared. The best was when parents started sharing their own provocations and resources with me about the future of education! I still remember receiving an email from a parent with a YouTube link to The People vs. The School System and her thoughts about how it connected to what we were doing in our classroom! This year I took a drastically different approach to assessment. I wanted assessment to be an inclusive process that involved the students as much as possible. We co-constructed success criteria together. We used that co-constructed success criteria as a tool for self, peer and (always last) teacher assessment. Students chose how they felt they could best share their learning. Final marks were negotiated between me and the student, during a one-on-one conference. The results were incredible. Student became much more assessment-capable. They were much more aware of their own learning, growth and areas of need and they were much less nervous and afraid of the assessment process. This was a hard one for me. I loved everything I read from Pernille Ripp about creating a culture of passionate readers and I couldn’t shake the quote “if they only read and write when we force them to read and write – then what’s the point?” So this year I took a hard, critical look at my own literacy practices and decided to ditch many of them in favour of achieving this goal. I got rid of nightly reading logs, book bins/bags, levelled library, forced guided reading, Daily 5, mandatory reading and writing workshops… pretty much anything where I, as the teacher, was choosing or forcing things on my students. The results were miraculous. I had students choose to become reading buddies; I had students request reading conferences with me; I had students self-select to all read the same novel so they could discuss it; I had students take initiative to create their own reader’s theatre; I had students sign up for optional reading workshops; I had students volunteer to read in front of the whole class. Was there still “progress” as can be measured by a standardized reading test? Yes. No more or less than there has been for my students in the past. But more than that, this time there was also students who learned to love reading; students who began to identify as readers; students who experienced agency and authenticity in their lives as readers. If you ask any of my students, they would tell you this was their most beloved risk of all. It was also the risk that received the most scrutiny and push-back from ‘above’. After reading, watching and discussing Sir Ken Robinson, my class decided to devote as much time for creativity as we do to literacy development. That worked out to 20% of a week – a whole school day. 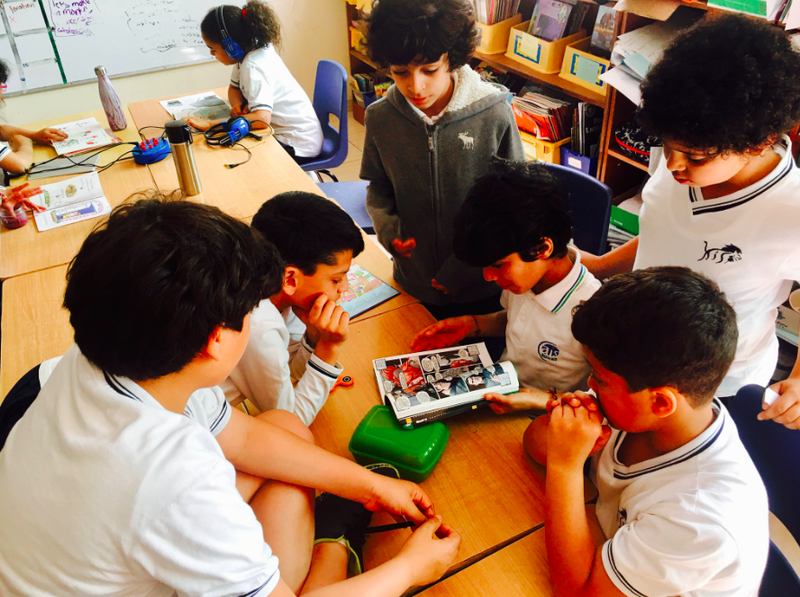 So each and every Thursday students would pursue their creative passions – Minecraft, acting, painting, sewing, fashion design, digital music making, construction, jewellery design, singing, slime, modelling, nail art, playing instruments… the list goes on and on. Thursdays were magical… everyone was happy, relaxed, engaged. It was the day of the week were our sense of community was the strongest. And it was the day of the week with absolutely no behaviour or classroom management issues. There may not have been a lot of “schooling” on Thursdays, but there was definitely a lot of “learning”! Another goal of mine this year was to support my students in connecting with other students around the globe. 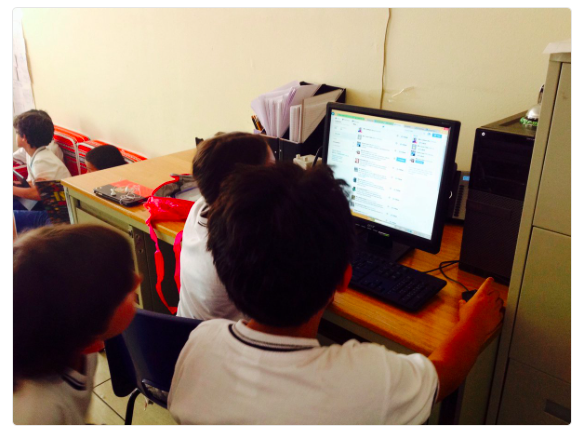 We had a class blog, a class Twitter account and participated in my Mystery Skype calls. My success in this area was mediocre. 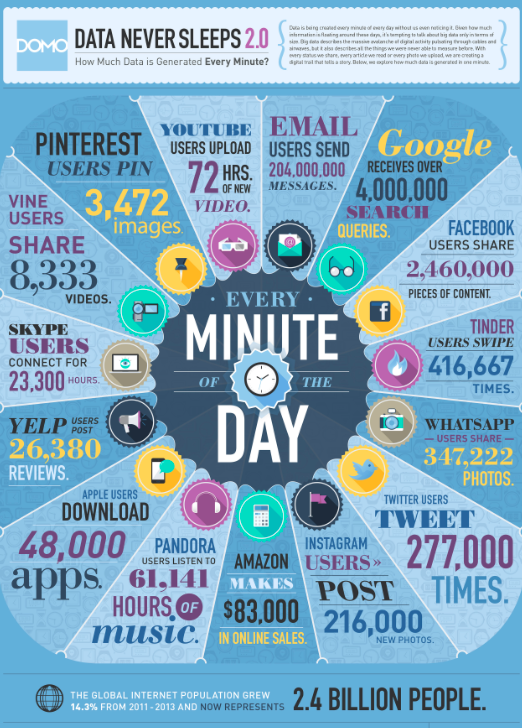 The blog and twitter started out strong at the beginning of the year, but fizzled out over time. Mystery Skype were great, but I waited too far into the year to organize them (only when it fit with our unit). This is definitely an area of growth for me, and I will be doing some reflecting over the summer to try and figure out how to better support my students next year as global citizens. My students and I decided that for every 30 minutes of focused learning, we would take a 10 break. This seemed to jive with research about how long children can focus and aligned with our IB Learner Profile of being balanced. Even though my students are in Grade 4 I think this time for unstructured play was essential. Not only did I notice lots of authentic learning taking place, but this is also when many of the friendships developed and when our sense of community grew. It was not unusual for us to receive confused or skeptical glances from passerbys while students were “on a break”, but it was something we strongly valued as a class and something we all felt positively impacted our community and our learning. It is no secret that this year I have been trying to create a classroom culture that respects and supports’ my students’ agency in their journey as learners. One of my biggest challenges this year has been figuring out how traditional approaches to reading instruction can fit within a model designed to help students take back ownership of their own learning. 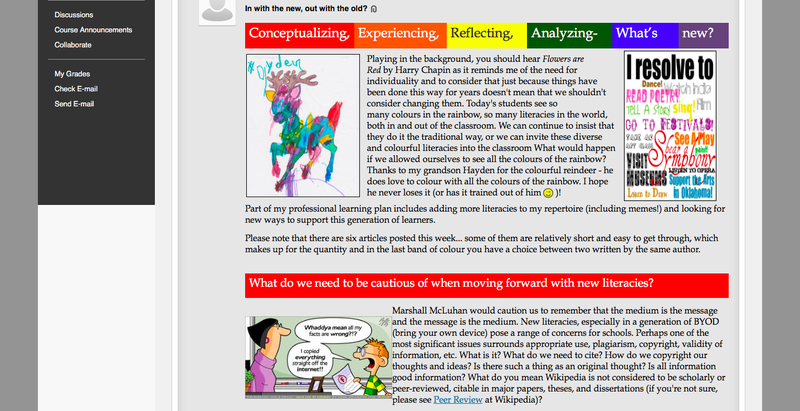 If my students only read and write when they are forced to read and write… what is the point, indeed. So naturally one of my fundamental goals this year has been to create a culture of passionate readers and writers – with the help of much advice from Pernille Ripp. But moving from helping students learn to love reading… to helping students become better readers, is where I feel the waters start to get a little murky. When I think about the commonly accepted approaches to helping students become better readers through the lens of student agency I begin to question some of our approaches. 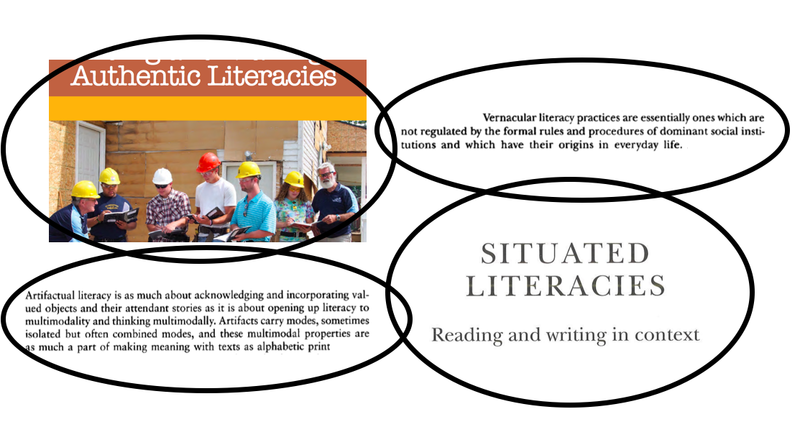 There are currenlty many common approaches to reading instruction under the microscope by many teachers – reading longs, mandated home reading programs, etc. – all of which I agree with. However, in addition to critically questioning these approaches, my learning tension tends to extend to other strategies for reading instruction – namely traditional approaches to guided reading. When I think about guided reading through the lens of making students better readers I can see benefits. But when I think about guided reading through the lens of student agency I can see red flags. 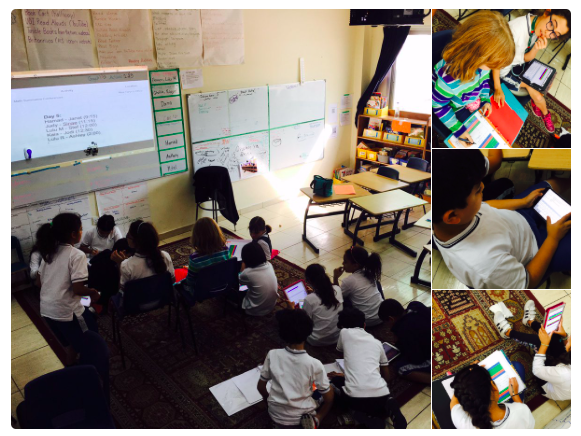 In traditional approaches to guided reading the teacher chooses what, when, where, why and how the student reads. So I wonder, where is their voice and ownership in this activity? And how does this impact their love of reading? How can we get the benefits of guided reading without sacrificing students’ agency in the process? I have no magic answers, but I do have a few ideas about some possibilities…. I think a first step is shifting the culture of forced feedback to found feedback. 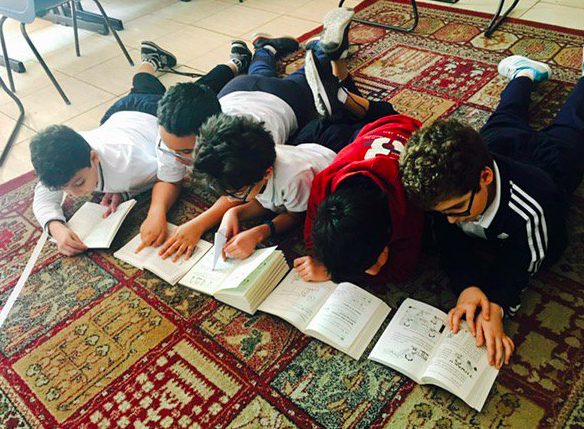 Currently, we are giving students feedback about how to become better readers – whether they want that feedback or not. Which begs the question, how effective is unsolicited feedback. 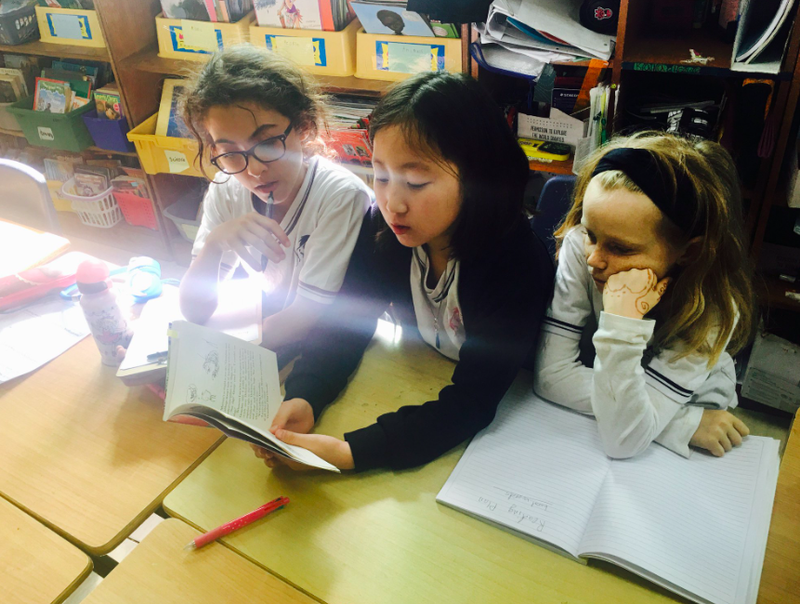 If we are telling students how to become better readers, and they don’t care – how much action is being taken based on that feedback? Again, don’t get me wrong I respect and recognize the neccessity and power of feedback in the learning process, I just wonder if there is a way to help students want to gather feedback, instead of just giving it to them. I think order to create that culture of “gathering feedback” we need to start by asking the question “who owns the learning?” In a traditional approach to guided reading the teacher is doing the learning to the student. The locus of control rests with us as the teacher. We are making all the choices about why, what, how, when and where. The students merely shows up when we tell them to, reads what we tell them to, does what we tell them to and thinks about what we tell them to. They may be “active” in the sense that they are reading, speaking, thinking, and sharing, but they are not “agentic” in the sense of experiencing ownership over their own improvement as a reader. I think until this transfer of ownership occurs we can’t expect students to seek out feedback about how to improve. How can we empower students to know themselves as readers so they make informed choices about how they can improve? How can we give ownership back to the students so that they are signing up to be part of a guided reading session? How can we get the benefits of reading instruction without compromising student agency? How can we create better readers and writers without creating readers and writers who only read and write when forced to? 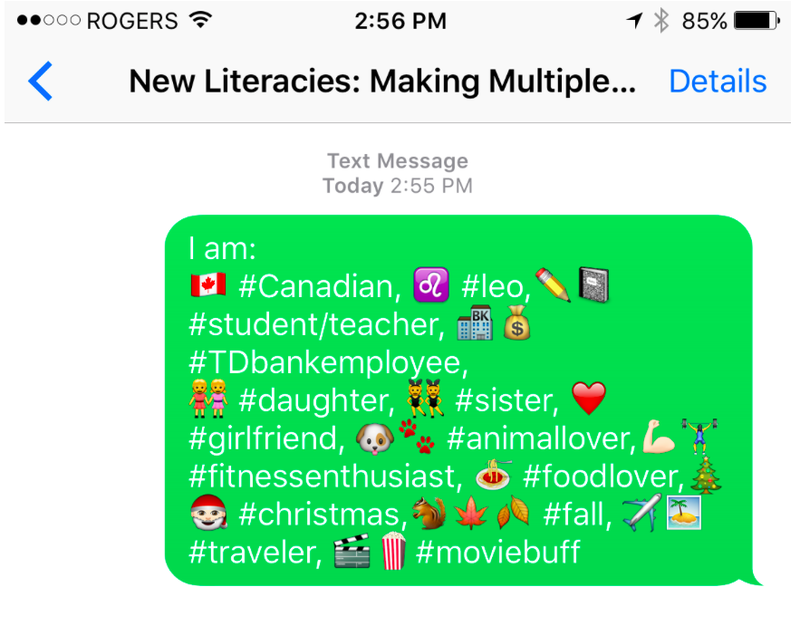 I am currently working on my MEd at Nipissing University and loving my current course “New Literacies: Making Multiple Meanings“. 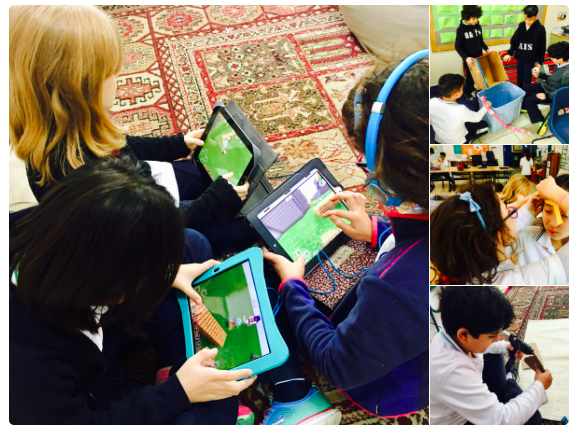 We have spent 10 weeks inquiring into traditional literacies, new literacies, multiliteracies, digital literacies, multi-modalities and beyond! 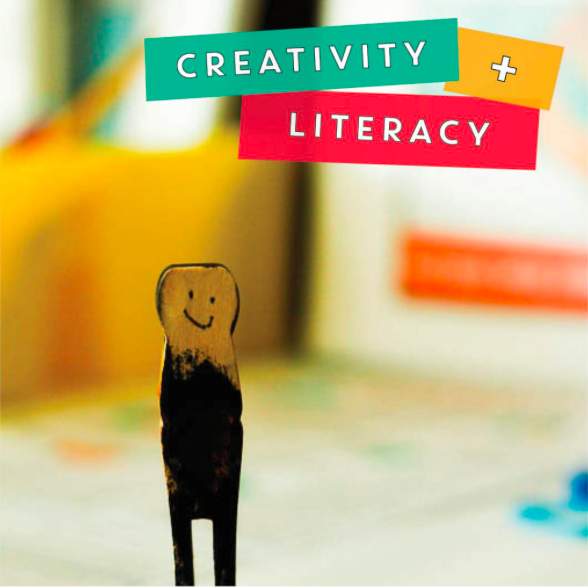 And now, for our penultimate assignment, we have been asked to share our vision for the future of literacy. I have chosen to focus my vision on the future of literacy instruction in schools. 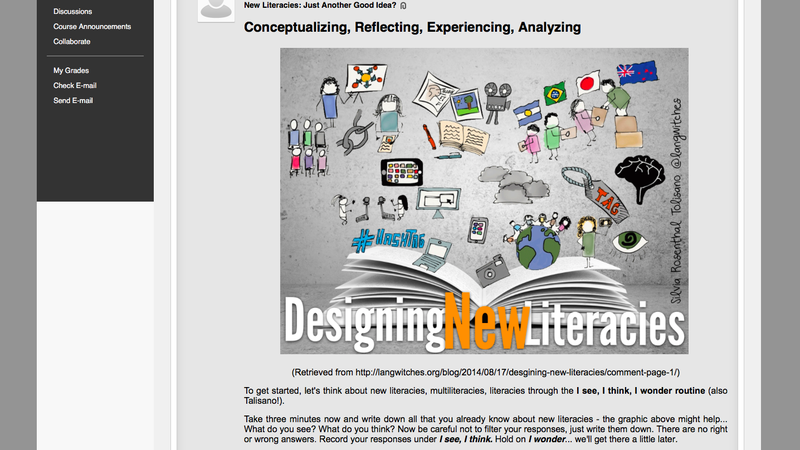 I have chosen to share my vision here, publicly with all of you, in hopes of stimulating a conversation about the future of literacy instruction beyond the four (virtual) walls of my online classroom. I have chosen to share my vision through words, images, screenshots, inforgraphics, memes and videos. 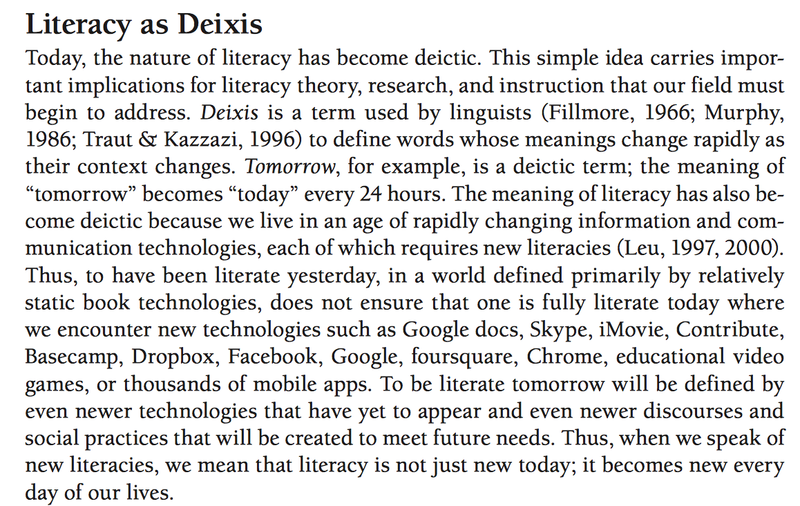 I hope, in the future, that educators realize the very meaning of the word “literacy” is deictic. I hope, in the future, educators realize that literacies are situated in time and place – not a frozen constant that have always existed and will always exist. 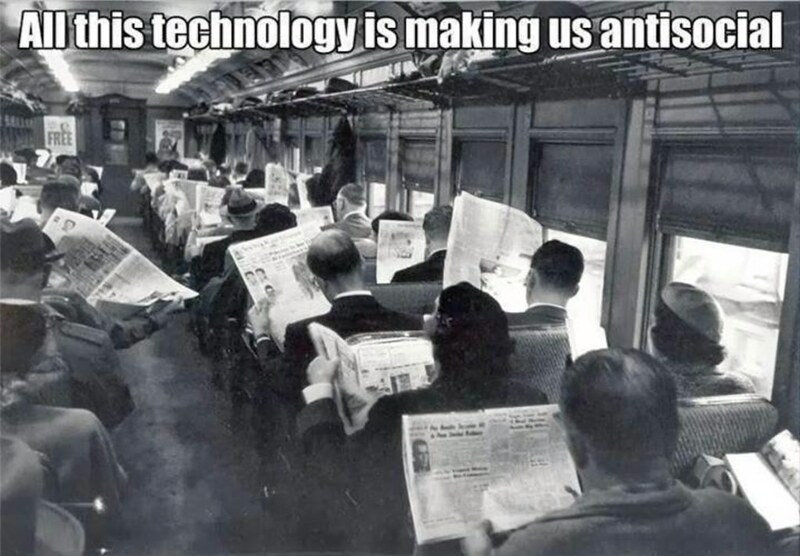 I hope, in the future, educators are discerning and fair in their criticism of new literacies and the technologies that make them possible. I hope, in the future, educators realize the volume of information being created and consumed without the use of pencils and paper. I hope, in the future, the power of youth literacies are understood and harnessed in the classroom. 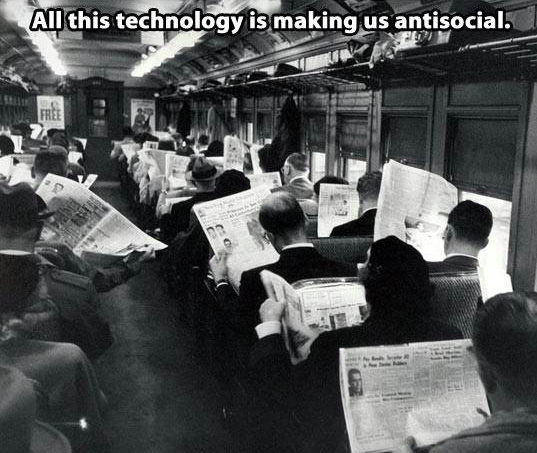 I hope, in the future, students are not confined by limitations of past literacies, but encouraged and supported to be readers, writers and communicators in the time period they were born in. 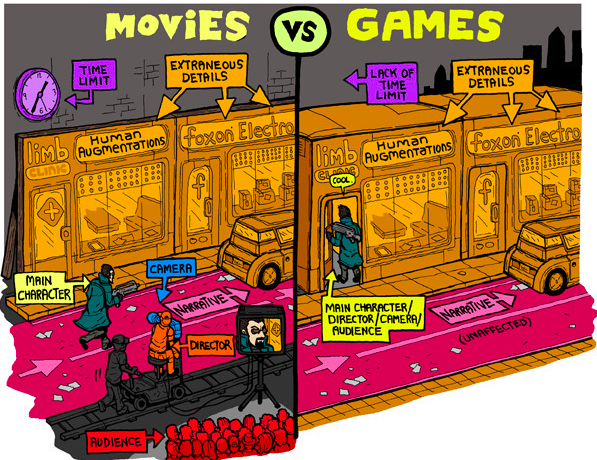 I hope, in the future, narrative inquiries move beyond books to include the exploration of films and video games. 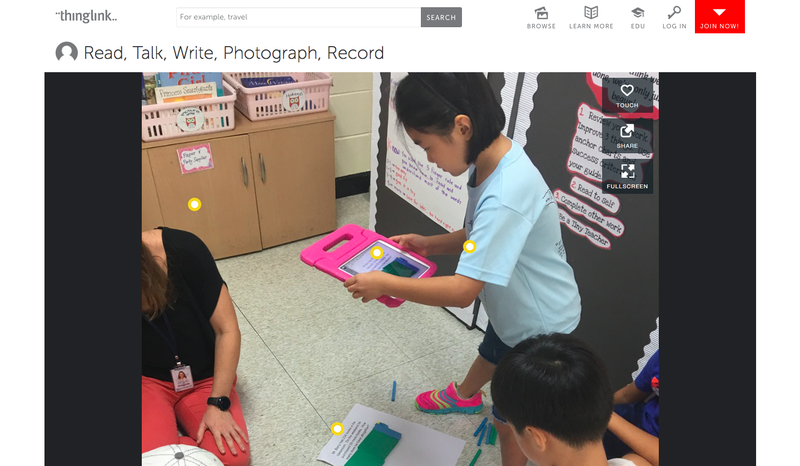 I hope, in the future, students are not only allowed, but also supported in learning how to share their ideas through blogs, tweets, snaps, instagram posts, podcasts, videos, vlogs, thinglinks, powtoons and more. I hope, in the future, the school system sees creativity and literacy as inextricably linked… unable to survive without each other. I hope, in the future, that vernacular, situated, authentic and artifactual literacies play more of a central role. 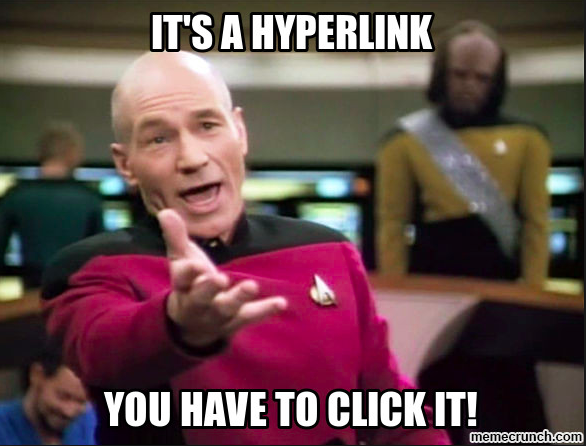 I hope, in the future, a hyperlink is perceived no differently than a MLA citation. I hope, in the future, students have their own Personal Learning Networks where they can connect globally with like minded learners, not confined by geographic location or age groupings. 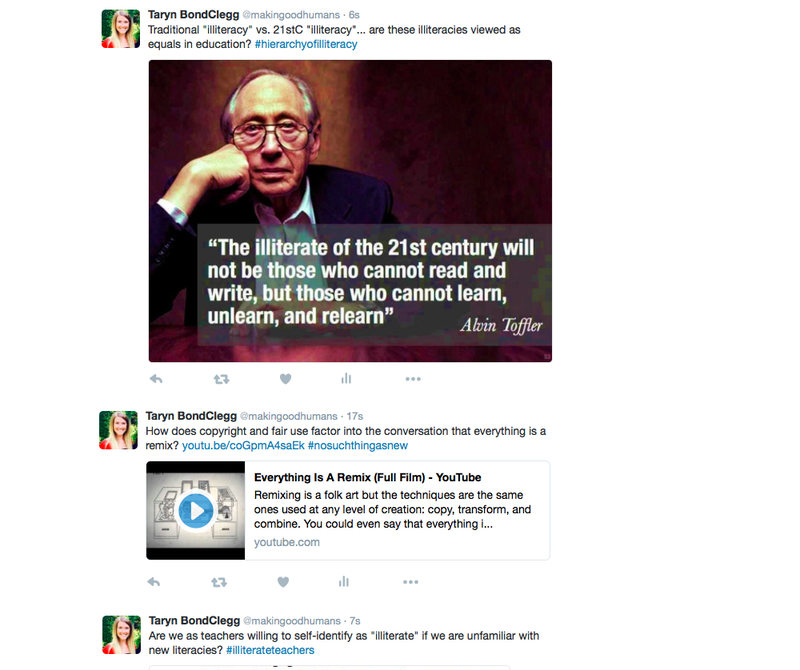 I hope, in the future, the use of screenshots, memes and mashups are not seen as infringements on copyright. I hope, in the future, classrooms show just as much (if not more) evidence of the 6 Cs than the 3 Rs. I hope, in the future, to witness the death of the 5 paragraph essay, the weekly spelling test, the hamburger paragraph, the reading log, the story plot chart, the reverence of the paper dictionary, and the overinflated sense of importance placed on penmanship. I hope, in the future, education will prepare students for the world that is and will be… not the world that once was. Finally, I hope that this future I have envisioned is not a distant future, but a near future – mere years away… months away… days away… or, perhaps hopefully, already happening. But they’ll need it for when they are in university. “it” can be anything from a 5 paragraph easy, to sitting and listening to a lecture, to a multiple choice test, and the list goes on. This notion that post-secondary institutions are stuck in the past, seems to work as an easy-out for us educators to resist change in our own practices and shifts in the educational paradigm. It’s not just high school teachers – who have students mere years away from university – but it is also middle school teachers… and even elementary school teachers. When working with educators in the past I’ve used a buffet of counterpoints to provoke their thinking about this argument. No one has a crystal ball and can say with certainty what students will or will not need when they get to university; Don’t let the tail wag the dog – why are we allowing the 4 (6? 8?) years where students end their educational journey to dictate the first 15 years of their education? Change is inevitable, it will happen with or with out… so jump on board! Yet, somehow the argument sticks. We need to do X because they will need it in university. And then something amazing happened!!! I am currently in university… in the very institution we use to galvanize our practices against change. And guess what? The skills and knowledge I need are the very skills and knowledge teachers are weary of, because “that’s not how universities are”. Bah! Not true! And I have proof! 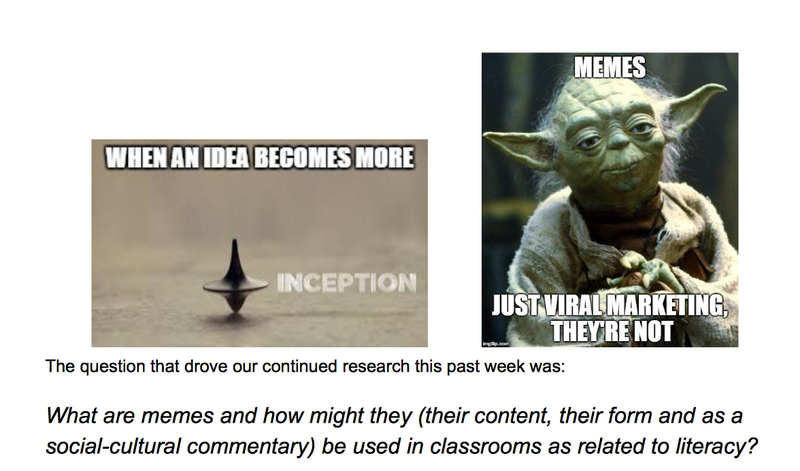 Each week my professor shares multiple forms of text with us pertaining to our topic – songs, memes, infographics, hyperlinks, videos, wikipedia pages and more. We need to be literate in multiple ways in order to access and analyze the information. And the best part? 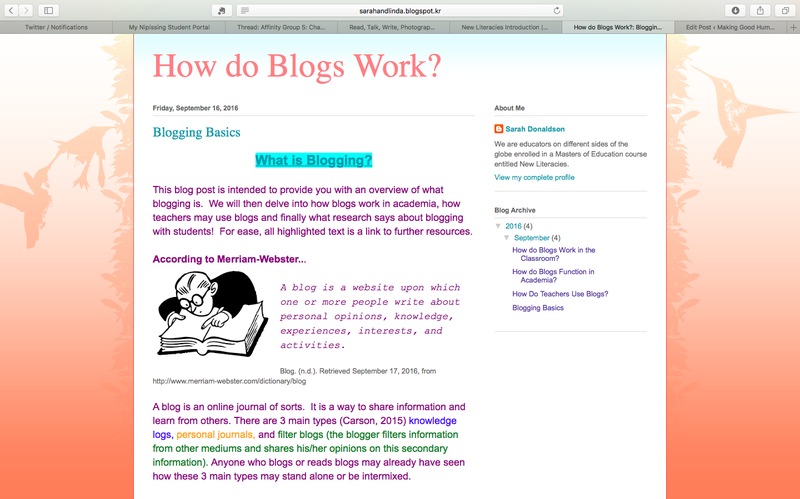 Each week we must compose a post in response to the ideas presented in the course material and we are NOT ALLOWED to share our thinking through only written paragraphs. We MUST demonstrate our meaning in multiple ways! This is a real university course, from a real university and the literacy skills that are helping me be successful are many of the literacy skills we as educators are uncomfortable or nervous or flat out refusing to teach. Of course I still need to be able to read and write. But those traditional skills in and of themselves are not sufficient any longer. Not for me as a university student and not for our elementary, middle and high school students either. I need to be able to deconstruct and reconstruct meaning in multiple ways that span far beyond “traditional literacies”… and so should they. An argument that clings to traditional literacies and opposes new literacies for the sake of preparing students for a model of university that may not longer exist is cause for concern. 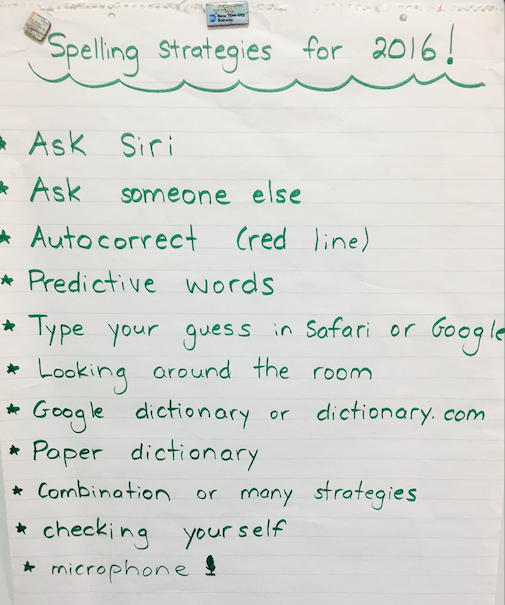 It is time to embrace new literacies, multiple literacies, digital literacies, and making multiple meanings in order to prepare students for the world as it is today. Because the world that used to be no longer exists… not even in slow-changing institutions of education like universities. An argument that clings to traditional literacies and opposes new literacies for the sake of preparing students for a model of university that may not longer exist is cause for concern. 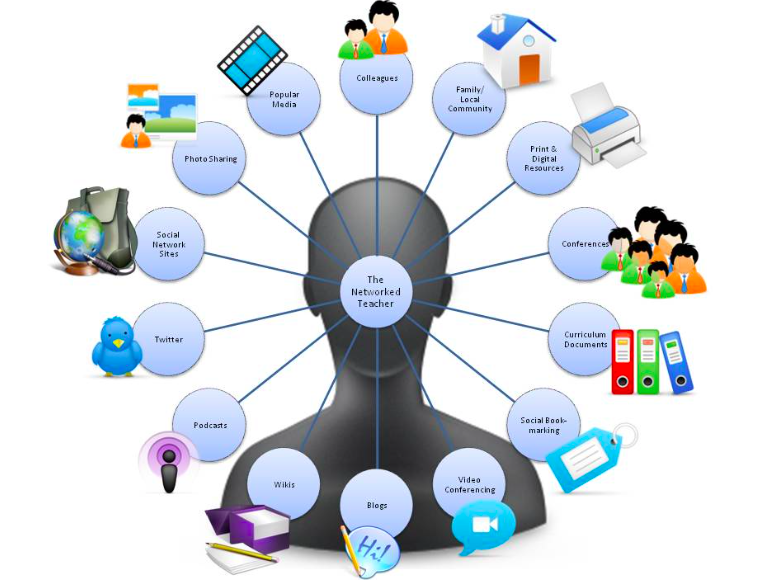 It is time to embrace new literacies, multiple literacies, digital literacies, and making multiple meanings in order to preparing students for the world as it is today. Because the world that used to be no longer exists… not even in slow-changing institutions of education like universities.